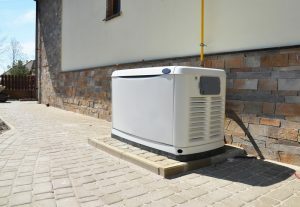 Pros and Cons of Whole-House Generator Fuel Types | Sierra Pacific Home & Comfort, Inc.
Whole-house generators are emergency devices meant to keep your home running even during a power outage. Instead of relying on the city or electric company to get things back in working order, you can be comfortable relying on your generator. But of course, even your generator needs fuel. Each type of fuel has different uses, costs, and levels of convenience. We’ll help you find out which type of whole-house generator in Sacramento, CA is best for your home. Gasoline is a fuel source you would use with portable generators. While portable generators have their place, such as when camping or in the outdoors, we can’t recommend them as an alternative to whole-house generators. Portable generators don’t produce enough energy to fuel your home the same way a whole-house option would. Due to the limitations of these generators, you’ll have to run these generators very close to your home or inside them, and that’s just not safe when you’re dealing with the carbon monoxide exhaust. Plus, gasoline is more expensive than the other fuel sources on this list, not safe to store it in large quantities, and just not as efficient. Now that we’ve gotten portable generators out of the way, it’s time to delve into the pros and cons of each fuel source available for whole-house generators. Life expectancy can range from 15,000 to 15,000 hours of use, depending on the type of engine and if it is regularly serviced. Less expensive to operate and can even be purchased without road tax, given that diesel is used to power off-road equipment as well. Since diesel is used by farms, the military, and trucking industry, it is usually easier to obtain even during a disaster. Shelf life between 18 and 24 months. Louder engine noise in comparison to other fuel types, and usage may be limited in areas with emission regulations. Longer shelf life than diesel and available as both liquid or vapor. Can be obtained from gas stations even during large power outages. Storage runs from 5 to 10-gallon tanks and you can have it delivered to your home. Cleaner burning, more compliant with emissions regulations, and quieter engine. The storage tanks are rather large and unsightly and may not look good in your yard. The fuel system is complex and will need regular maintenance to prevent issues. Can be especially dangerous in the event of damage to the fuel line. Shorter life than diesel engines. Unlimited fuel source! No refueling necessary. Available even during power outages. Cheap fuel source that burns clean. Natural disasters like earthquakes might cut off access to gas sources. Lower power output than the other fuel options. Installing a gas line if you don’t already have one is expensive (or, gas might not be available in your area at all). Dangerous if the lines are broken or damaged. Need help finding the right whole-house generator for your needs? Contact Sierra Pacific Home & Comfort, Inc. today.